Border Of Mediterranean Dishes And Bread On Table. Copy Space In Middle Over Dark Wooden Surface. Royalty Free Stok Fotoğraf, Resimler, Görseller Ve Stok Fotoğrafçılık. Image 66011964. Stok Fotoğraf - Border of Mediterranean dishes and bread on table. Copy space in middle over dark wooden surface. 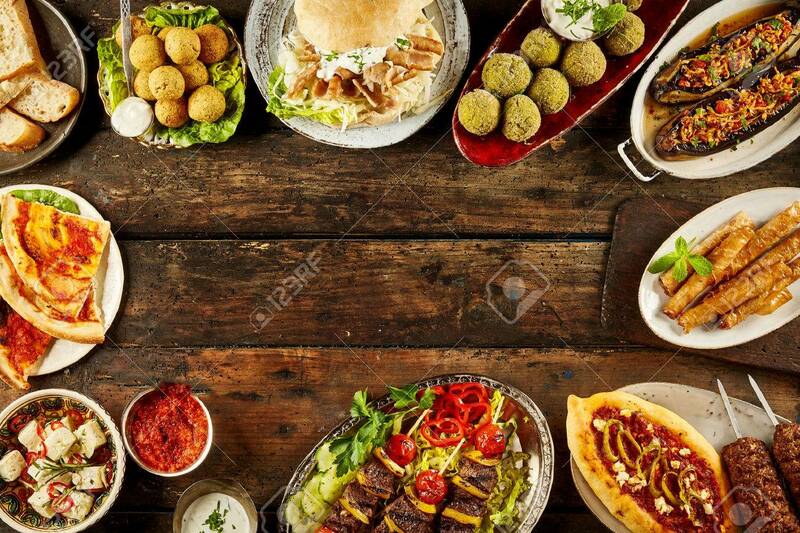 Border of Mediterranean dishes and bread on table. Copy space in middle over dark wooden surface.